In recent present animators have a tough time with the battle between the two formats 2D and 3D animations. Some designers make use of the traditional 2D format to create a more artistic and creative while other opt for 3D animation to consistently reach realism. Earlier Animated films are more often not 3D, only in 2D, or traditional animation. 2D animation presentations are also still popular but not as popular or profitable as 3D. So, for better understanding we have pointed the benefits of both 2D and 3D animation, that helps in easy decision making for business owner while opting for animation or Multimedia presentations. 2D animated videos can either be created by hand or via computer and it is performed by animating one image followed by another in a slightly different position, followed by yet another image in another position. This helps in creating movement of the animation. This type of animations will also have a flat image that has movement and is represented with height and width dimensions, but not the depth of the animated image. 3D animation widely differs from 2D, in terms of animating process and in the end output as well. 3D animation produces a more realistic character that is represented in all three dimensions (height, width and depth). The main benefit of 3D animation over 2D animation is its ability to create a more lifelike character with realistic textures. 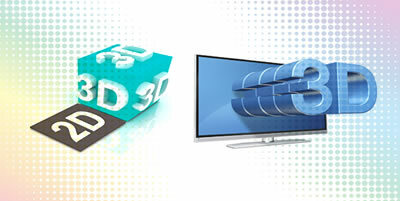 If a 3D object is once created it can be treated much like a physical object. No matter what style you think you want, we @ Digital Atrium make sure you’ve reached the right most efficient and cost-effective service provider. To know more in detail about multimedia solutions Contact us.